My husband is always looking at ski doo's on eBay. 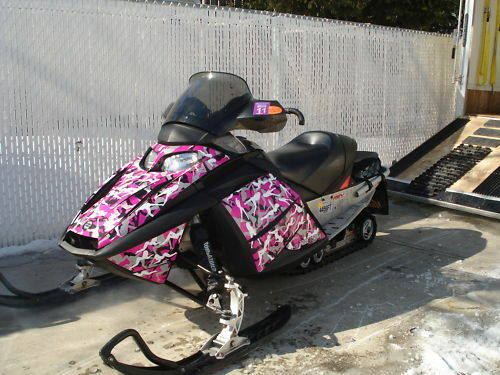 So I decided the other day to look at ski doo's for myself. I don't want one at the moment but I thought I'd look. I found this 2003 ski doo rev MXZ hot pink and black just perfect for the girls and myself on an hour day off. 0 Response to "Ski doo Rev"